Potpourri /ˌpoʊ pʊˈriː/ is a mixture of dried, naturally fragrant plant material, used to provide a gentle natural scent inside buildings, most commonly in residential settings. It is usually placed in a decorative (often wooden) bowl, or tied in small sachet made from sheer fabric. Potpourri is used inside the home to give the air a pleasant smell. The word "potpourri" comes into English from the French word pot-pourri. The French term has two connotations. It is the French name for a Spanish stew with a wide variety of ingredients called "olla podrida," specialty of the town of Burgos. The word was taken and copied by the French military during the Napoleonic occupation of Burgos (1808-1813). Literally, however, the word pot in French has the same meaning as it does in Spanish and English, while the word pourri means rotten. In English, "potpourri" is often used to refer to any collection of miscellaneous or diverse items. The beautiful glass design makes it the perfect complement for any decor, and any room of the house bedroom, bathroom, family room, great room or Kitchen. Pack size W 2.4/8"x L 2.4/8"x H 5.1/8" Inches Weight 5.1/10 oz. . 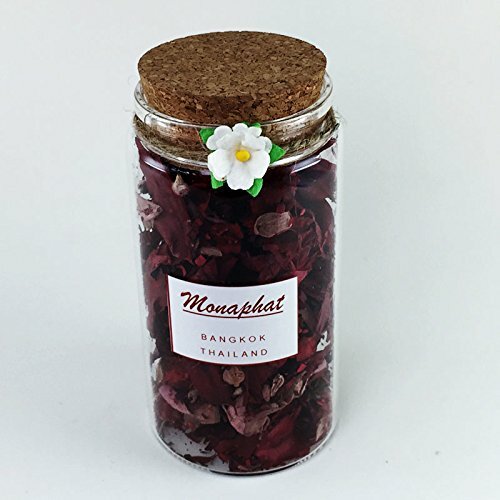 If you have any questions about this product by MONAPHAT, contact us by completing and submitting the form below. If you are looking for a specif part number, please include it with your message.